Many people are often found asking themselves “why do they need a dentist”? Just because you don’t have a toothache, you don’t have cavities or you brush and floss every day, does not mean trouble is not brewing below the surface. Many tooth problems do not show symptoms at an early stage. Regular dental check-ups can help you prevent the most tooth ailments. Elite Dental Care is a team of highly skilled and experienced dentists offering a wide range of dental treatments to ensure your good dental health. They use state of the art tools and equipment to provide their patient’s highest level of care. Elite Dental Care in Tracy offers various dental treatments such as veneers, root canals, Invisalign, teeth whitening, cosmetic, general family dentistry and dental implants in Tracy. Though brushing and flossing is your first line of defense against dental problems, they are not enough. There are many areas in the mouth that are missed by brushing and flossing. Plaque and tartar buildup in the mouth can erode teeth, giving rise to cavities. An appointment with a dentist in Tracy, CA will help you take care of the plaque and prevent it from becoming destructive to your dental health. The dentists at Elite Dental Care would help you assess your mouth for signs of dental problems or diseases. They would suggest you to take preventive steps to stop them becoming an issue. A dentist can use various dental or restoration procedures to prevent dental problems. If needed, they would also diagnose oral diseases, take X-rays, prescribe a treatment plan and more. You can have a peace of mind that all your needs will be taken care of in an effective manner. Oral cancer is not diagnosed in the early stages of cancer. It quickly spreads to the other parts of the mouth and causes life-threatening conditions. Fortunately, oral cancer is treatable in the early stage. Regular visits to your dentist at Elite Dental Care can help you recognize oral cancer in its early stages and treat it successfully. The dentists at Elite Dental Care are highly experienced, knowledgeable and skilled. They possess years of experience in the dentistry and have been offering their clients high-quality dental care services. Elite Dental Care dentists are equipped with the state of the art tools and equipment to provide high-quality care and services to their patients. They use advanced diagnostic imaging equipment that provides patients with extreme care and comfort. You can have a peace of mind that you will be delivered the highest quality services. 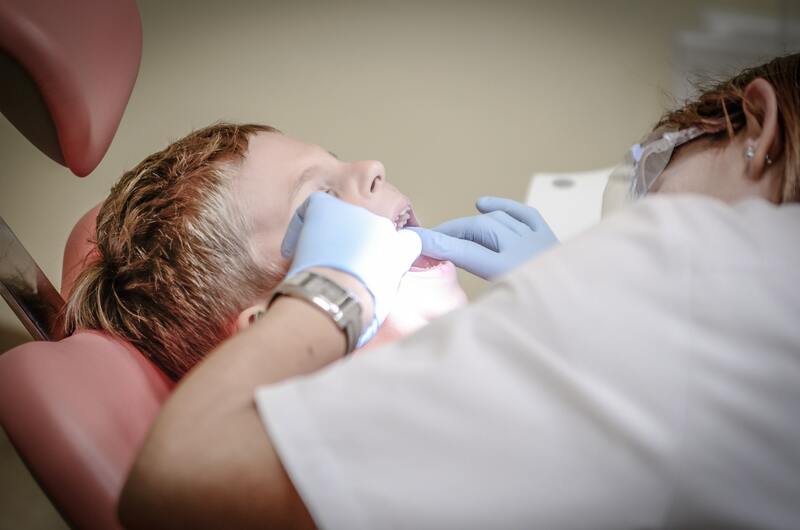 The dentists at Elite Dental Care take the time to understand the needs of the patients and offer them solutions that can meet their present needs and future requirements. Elite Dental Care offers a complete range of dental treatments and services to ensure your optimal dental health. The dentists at Elite Dental Care are committed to offering their patient’s highest quality dental care. They offer treatments that can promote good oral dental hygiene and prevent bad breath, tooth decay and gum diseases. It has been rightly said that a healthy mouth is your gateway to good health. It helps you ward off medical disorders. During your appointment, the dentists in Tracy, CA will evaluate the health of your gums, perform head and neck examination and check your mouth for any problems or indications. After performing the necessary examination, they will recommend you treatments or medications that can promote good oral health. It is advisable to consult a dentist every six months. If you are suffering from toothaches, gingivitis, cavities or bad breath, schedule an appointment today with Elite Dental Care in Tracy. You will be given complete care to help you promote good health and well-being.